Premiums for employer-sponsored family coverage grew an average of 3% this year, while premiums for individual coverage grew 4%—the sixth consecutive year that premium growth has hovered in the low single digits, according to a new survey. Still, the cost of insurance grew faster than inflation and the average employee's wages. The Kaiser Family Foundation and Health Research & Educational Trust on Tuesday released its 19th annual employer health benefits survey, which looks at insurance provided by more than 2,100 small and large companies to about 155 million people. The average family premium, which includes the amount contributed by both the employer and the employee, was $18,764 in 2017, while the average single coverage premium was $6,690. While it's good news for employers that costs are rising at a slow pace, the total premiums for employers and employees are still "sticker shock numbers," Kaiser Family Foundation President and CEO Drew Altman said Tuesday. He pointed out, though, that while lawmakers have been locked in a battle over the Affordable Care Act and how to stabilize the volatile individual insurance market, the employer market where most Americans get coverage is stable and unaffected by the ACA repeal battle. In the individual marketplaces, premiums are rising by 20%, he said. That market, which has been plagued by lofty premium hikes, covers about 20 million people. It's unclear why employer-based insurance premiums are growing so slowly, Altman said, adding that there's nothing obvious to him that employers are doing to effectively hold down cost growth. "The slow growth in premiums and spending is to me healthcare's greatest mystery." Steve Wojcik, vice president of public policy with the National Business Group on Health, which represents large employers, said the increase in cost-sharing in employer-sponsored health benefits has helped lower the pressure on premium growth. But employers are also stepping up their management of specialty drugs, which is one the biggest drivers of employers' health spending, he said. And they're encouraging employees to seek care from accountable care organizations and medical homes, and promoting and growing their wellness programs. The National Business Group on Health's annual survey released in August predicted that premiums among large employers would grow 5% in 2018, unchanged from 2017. Even though premiums are growing at a snail's pace, businesses have required workers to pick up a bigger share of the cost. The goal of increasing employer cost-sharing, in the form of copayments, coinsurance and deductibles, is to give employees more "skin in the game," which employers hope will give employees incentive to make cost-conscious decisions when shopping for healthcare. But that also means that many employees may put off care. According to the Kaiser Family Foundation, 30% of Americans report having problems paying their medical bills because of high out-of-pocket costs. And those high costs might end up hitting employers later if medical conditions add up. Employees on average contribute $5,714 every year toward their family premiums, or 31% of the entire premium. Employees pay $1,213 toward single-coverage premiums, or 18% of the total premium. The employer picks up the rest of the tab but reaps generous tax benefits as a result. The trend toward more cost-sharing has been happening over a number of years as employers have looked for ways to control overall healthcare spending. According to the survey, covered workers' average contribution to family coverage has increased 32% since 2012, and 74% since 2007. There's a lot of variation, however, in what workers at small firms pay toward their premiums compared with workers at large firms. Covered workers at small firms with less that 200 workers on average contribute $1,550 more every year for family health coverage than those at large firms. PPOs are still the most common type of health plan, with 48% of workers enrolled in them, but the percentage of people enrolled in high deductible plans has grown over the last several years. Twenty-eight percent of all covered workers are enrolled in a high deductible health plan, down slightly from 29% in 2016 but up from just a quarter of workers in 2015. About 14% of employees are enrolled in an HMO and 10% in a point-of-service plan. For the first year in a decade, deductibles for single coverage in the employer-sponsored market leveled out among all workers at $1,221, unchanged from the average deductible in 2016. The one-year pause in the growth of deductibles does not make a trend, however, the Kaiser Family Foundation noted. 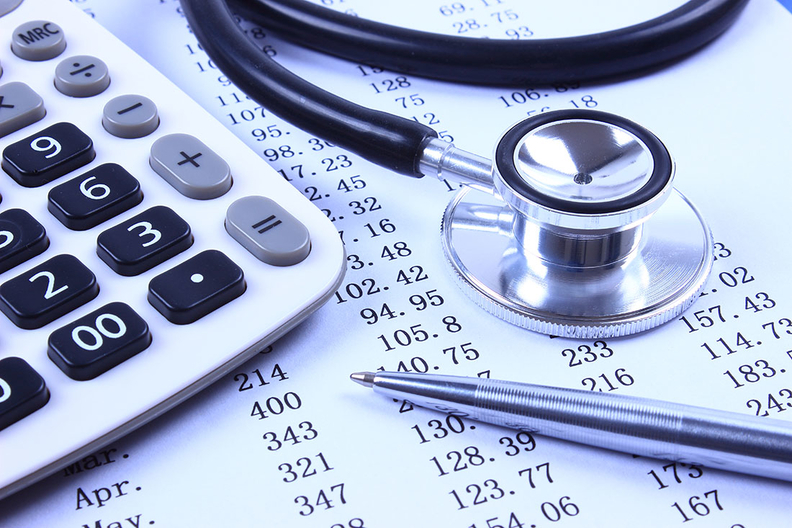 Overall, annual deductibles have grown 52% since 2012, when the average annual deductible was $802. According to the survey, 51% of workers are enrolled in a health plan with a deductible of $1,000 or more in 2017. At small firms with less than 200 workers, 58% of employees have a deductible of $1,000 or more, while 48% of employees at firms with 200 or more employees do. About a fifth, or 22%, of workers at firms of all sizes have a deductible of $2,000 or more, and 11% have a deductible of $3,000 or more. The survey also found that the percentage of companies offering health benefits slipped to 53% in 2017 from 56% in 2016, as fewer small firms with less than 50 employees offered coverage. Smaller firms find it harder to shoulder the high cost of providing health insurance, while others see the ACA exchanges as a good alternative. In 2010, 69% of all businesses offered their employees health coverage—the highest amount in nearly two decades. Large employers are more likely to offer coverage. About 96% of firms with 100 or more employees and 90% of firms with 50 to 99 employees offered health benefits last year. Half of firms with less than 50 employees did the same. Firms with 50 or more full-time employees are subject to the ACA's mandate that they provide health coverage or face a financial penalty. Most employees in the U.S. work at large firms that offer health insurance.